Last year, they were students carrying book bags. This year, they are Israeli soldiers carrying the responsibility of defending our Jewish State. Editor's note: On Tuesday, May 10, the Jewish community of metro Detroit will gather to observe Yom HaZikaron, Israel’s National Memorial Day, in a ceremony at 6:00 p.m. at the Berman Center for the Performing Arts in West Bloomfield. On Yom HaZikaron, we stand with Israel in remembrance of soldiers who have fallen in battle or in acts of terror. It is also a time to reflect with pride on Jewish Detroit’s own Lone Soldiers - sons and daughters of our community - who bravely have chosen to protect and defend Israel with their young lives. We thank them for their service and pray for their safe return to their families. Last year, they were students carrying book bags. This year, they are Israeli soldiers carrying the responsibility of defending our Jewish State. What steely resolve does it take to endure grueling training in the desert, to learn the vocabulary of artillery in Hebrew, to become soldiers among the elite in the Israeli Defense Forces (IDF)? Through their parents’ eyes and words, we meet four extraordinary young men and women who have chosen to challenge mind, body and spirit as volunteer soldiers in Israel. 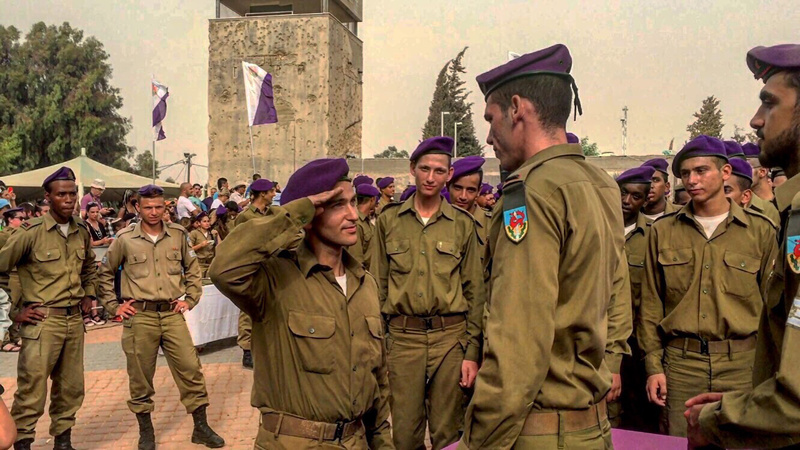 As Lone Soldiers — the IDF term for recruits from abroad and without family in Israel — they serve shoulder-to-shoulder with native Israelis to defend and protect our Jewish state. Shimmy attended Akiva Hebrew Day until the 10th grade, then continued his education in Oakland Early College. Compelled to serve at an early age, he moved to Israel to spend a gap year on a kibbutz in 2013, then joined the Israel Defense Forces (IDF) the following year. Trained as a sniper in the Givati Brigade — an infantry unit of the IDF that serves as its amphibious force (designated by its purple berets), Shimmy has spent much of the last seven months in Israel’s “hot spots.” When his enlistment ends in December 2016, he plans to make Aliyah and finish his Bachelor’s in Criminology at Bar Ilan Univerisity in Tel Aviv with the goal is to complete a Master’s in Counter Terrorism at the IDC Herziliya. It comes as no surprise to the Kaufman family that Laurenne has always had a strong Israeli connection. Alon is Israeli and, Shari herself, served as a volunteer in the IDF when she was 20. 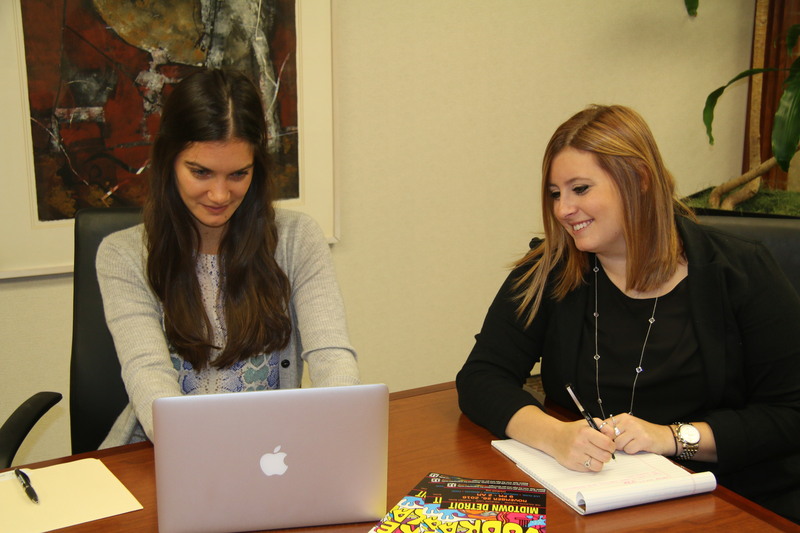 Through her years at Hillel Day School, Laurenne’s attachment to Israel grew even stronger. 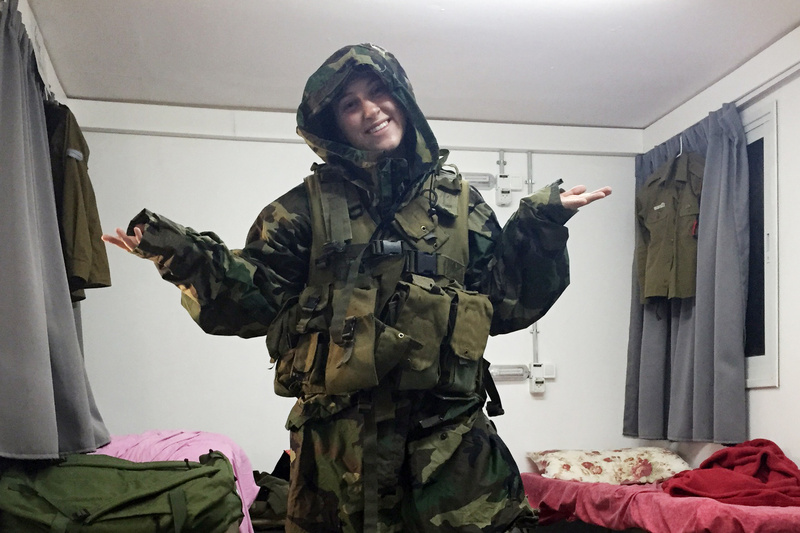 Shari recalls, “At Purim time every year, she would dress up as an IDF soldier and announce her plans to one day be a real soldier. ‘It’s in my blood,’ Laurenne would say. Andrea Goldstein (right) with friends. Also in photo featured at the top of the page. Andrea Goldstein always has had a very strong connection to Israel. Her father, Raphael, was born there. She is also very proud of the fact that her grandfather, Reuven, served with the Palmach prestate underground defense brigade and later in the Haganah during Israel’s War of Independence. Andrea has been in Israel for nearly two years, having spent a gap year in a program sponsored by Young Judaea before she joined the IDF as a participant in Garin Tzabar, a Lone Soldier program run with the support of the Ministry of Aliyah and Immigrant Absorption. Lone Soldiers in this program spend their first three months in Israel in the Garin Tzabar Village in Ra’anana, a community that serves their needs for a home base, Hebrew language studies, social activities and other assistance in preparing for the army and in navigating the process of absorption into the culture of the country. 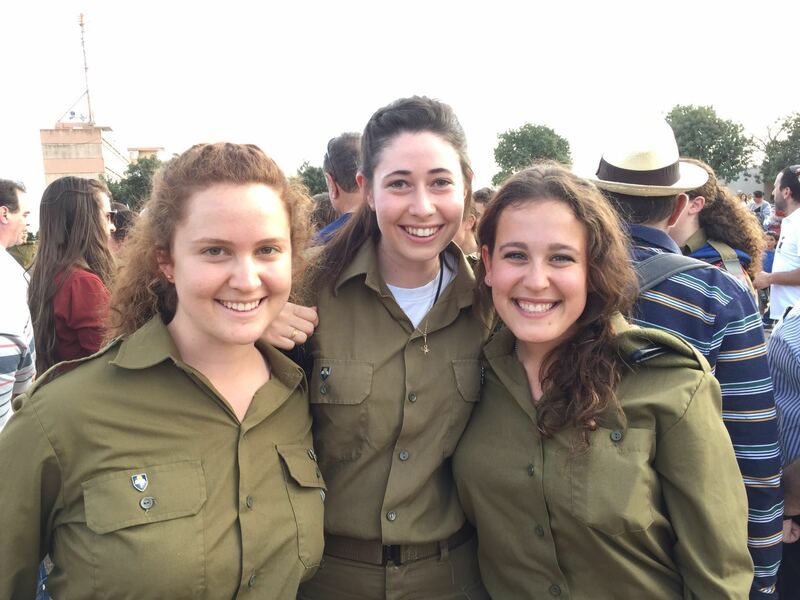 Andrea recently graduated basic training and started her service in the IDF Air Force. 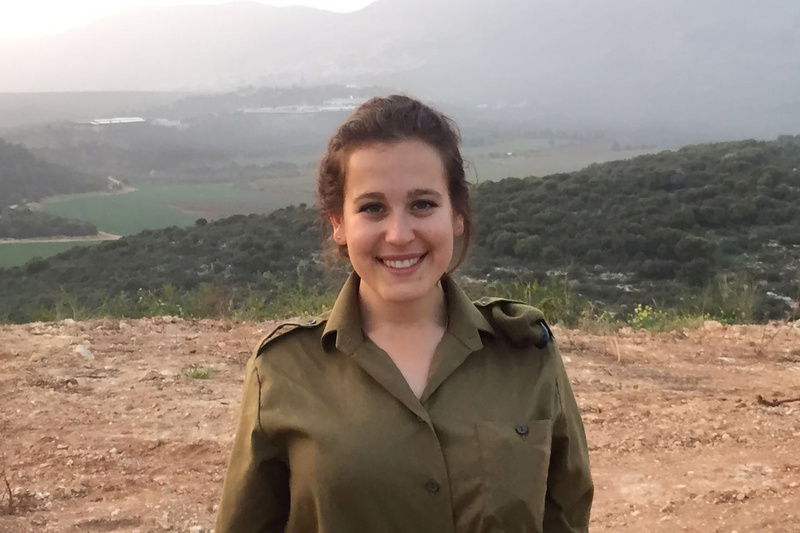 After her tour of duty in Israel, she plans to attend college and study business. With an Israeli dad and American mom, Mataan Lis always has found Israel to be his second home. 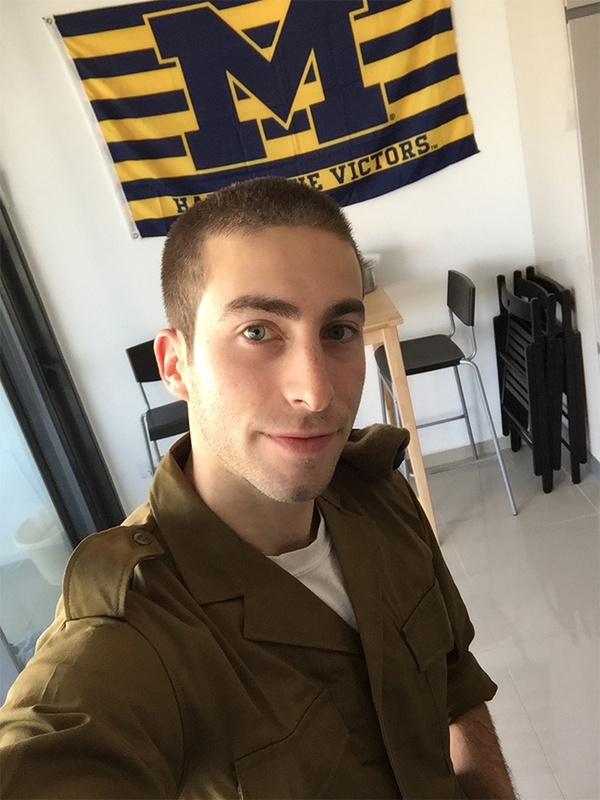 A dual citizen of the U.S. and Israel, fluent in both Hebrew and Arabic, Mataan took a studied approach and very rigorous route to his service in the military, starting the process of enlisting last July. “Actually, Mataan began working on his goal to join the IDF years ago,” observes his mother, Lisa Lis. 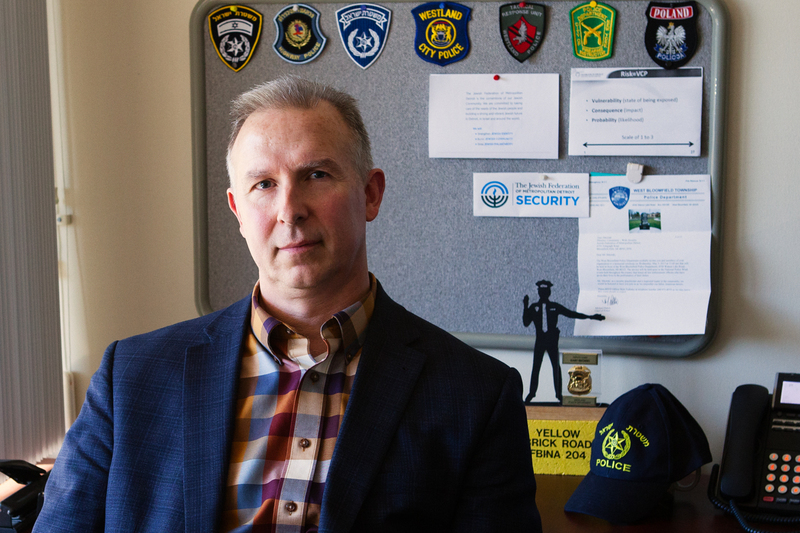 “He researched all of his options, graduated from the University of Michigan with a B.A. in Middle Eastern Studies and moved to Israel last May as a returning citizen. The Israeli government does not disclose information on the overall size of the IDF, or the identity, location and strength of units. But, according to estimates, Israel has one of the largest number of Americans serving in its military today, with roughly 1,800 enlisted Americans who did not grow up there. In total, there are an estimated 6,000 non-Israeli-born troops in the IDF from 70 countries. According to estimates last year, 70% of the Lone Soldier troops are men, 30% are women; approximately 31% train as combat soldiers; 26% serve in combat support roles and 43% serve in non-combat units. Soldiers help with the various challenges they face as they embark on their journey and throughout their military service. FIDF’s Detroit Chapter maintains a close connection with Detroit family members and with their sons and daughters serving in the IDF, to ensure that these brave heroes never feel truly alone. Detroit’s Lone Soldiers also have community connections in Israel through activities organized by the Detroit Federation and the Central-Galilee Partnership2Gether Region. For more information and ways you can help connect, please contact Yoav Raban, raban@jfmd.org.